Dynamite proudly presents this super-rare 'Virgin Art' variant cover edition to celebrate the Quentin Tarantino's first-ever foray into original comic book storytelling! 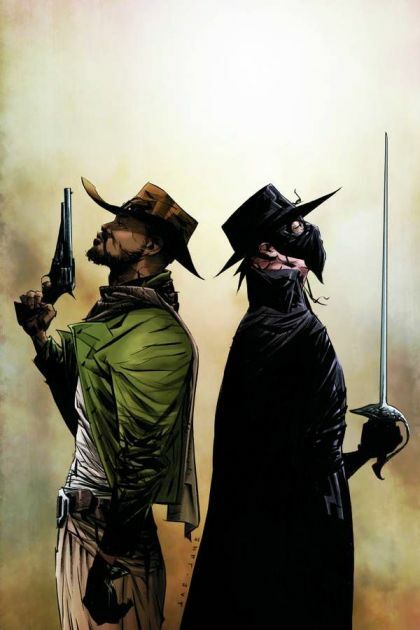 With a cover by Jae Lee, one of the comic industry's greatest artists, and co-written by Matt Wagner, one of the comic industry's greatest storytellers, this comic book collectible is an all-star celebration of Western fiction's greatest renegades! In this issue, Django hires his services to Diego de la Vega to free an oppressed indigenous people from brutal servitude. It's gun-blazin', whip-cracking vigilante justice as two icons unite for the very first time!